Vaccine Nation, a film by Gary null, Ph.D. Yet the medical evidence is clear. 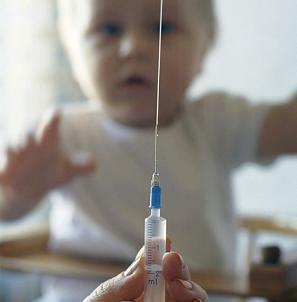 Mercury, known as thimerosal, and other heavy metal additives are highly toxic and threaten children with neurological damage. The long-term efficacy of global vaccination remains controversial, inconclusive and is suspect in light of the powerful corporate interests, lobbying efforts, and profits associated with a multi-billion dollar vaccine industry. From the award-winning director of The Drugging of our Children, Gulf War Syndrome: Killing Our Own and AIDS Inc. – comes the latest film of critical social importance: Vaccine Nation. – Discover the truth about the history of vaccines and how they have NEVER been proven to be safe and effective for anyone. – Witness the legacy of governmental deception and cover-ups associated with vaccines. – Learn about the corruption within the scientific community and how vaccine studies are seriously flawed.